When you learn ballroom, you learn that there are rules. There are specific guidelines on how to execute a crossover break or a twinkle step. There are a million little details to remember to ensure your dancing is “right.” Different styles have different rules. You have to remain in closed frame when dancing Standard. You’re supposed to arrive on a straight leg in Latin. The follower’s left hand hooks under the lead’s arm in Tango and rests on top in Waltz. So many rules to learn and abide by. I don’t mind actually. For the most part, I am a rule follower. I like the structure that the rules of ballroom dancing provide because I like to have a way to know if I’m “right” or “wrong.” Call it a leftover impulse from being a good student in school or a symptom of my need for external validation. My need for a system by which to measure myself has also made it difficult for me to master the styling and emotional expression aspects of dancing. “Just do what feels natural” is not enough guidance, especially when I was a beginner. I’m doing something totally out of my comfort zone, so nothing feels natural! With practice and a solid foundation of the correct steps and technique to ease my discomfort, I gradually grew accustomed to exploring movement that didn’t come with a predetermined grading system. It was all trial and error, figuring out what looked good and felt good to me. Sheer madness to my scientific half. Of course, I’m no stranger to improvisation. That’s all I did before ballroom dancing (with the exception of a couple years of dance training when I was 6 and 7). It was the combination of rule-driven steps and technique, and stylistic expression that threw me off. It was like I could let loose and throw the whole rule book out the window, or I needed to follow it to the letter. No middle ground. But like I said, eventually and with consistent practice, I found that middle ground where I could play around with what my arms were doing while still remembering to keep my frame strong and to take a heel lead where necessary. I also needed a lot of practice just to get comfortable being “wrong.” Figuring out what feels and looks best in my dancing requires going through a lot of what feels and looks bad, awful, stupid, awkward, etc., etc. The rules were my foundation. I couldn’t just do whatever felt good at the beginning because I knew ballroom had rules, and I wanted to learn how to dance the “right” way. It’s like in any other sport. You have to learn the rules if you want to play the game. Technique especially became a home base for me. There were very clear definitions of right and wrong when it came to technique, so I didn’t need to live in the gray area of “do what feels natural.” For someone who struggled with a severe lack of self-confidence, having those black and white definitions was a comfort. I didn’t need to believe in myself. I just needed to follow instructions. The result was I became a very strong technical dancer. But it’s not the technically strong dancers that catch people’s eyes. It’s the expressive ones. The dancers who are clearly connected with the emotion of the dance and allow it to fully express itself through their movements, those are the dancers who have me holding my breath and sitting on the edge of my seat! I love those experiences as a spectator so much, and I want to be able to give others that experience as a performer. Which means pushing past the safe zones of predefined rules, technique and “right and wrong.” Ballroom is an art as well as a sport, so now that I’ve learned the rules needed to play the game, it’s time to bend those rules to fully express myself as an artist. The rules that I’ve been dancing by are bending and changing, but that doesn’t mean I start breaking them. Expression without technique or control looks chaotic and isn’t enjoyable to watch either. While we worked on that forward fold to back bend move, Teacher emphasized the importance of using my core through the movement. I was also reminded about keeping my shoulders down in another move and using swing and sway. The technique doesn’t disappear just because you move into a level that allows more freedom. It becomes even more important, but it’s not the star of the show. Strong foundational technique is what allows you to express the emotion of the dance and make it look easy. My challenge now is reassuring my brain that just because I’m concaving and bringing my shoulders forward momentarily does not mean I’m dancing “wrong.” That is the design of the step. I’m not losing my technique rules. I’m just learning new ways of how to best apply them to new steps. Thanks for reading! 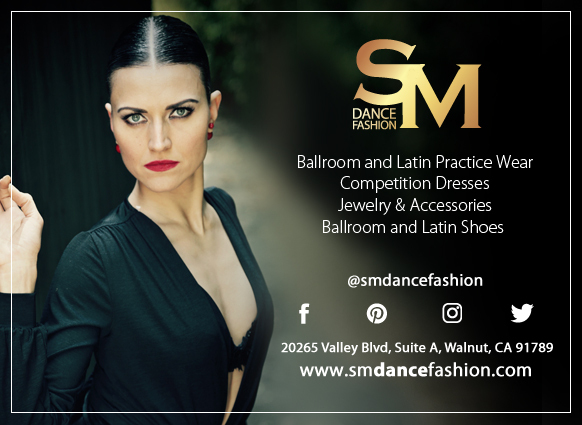 If you would like to improve your technique or your styling on your own, check out the Solo Practice Guide for Ballroom Dancing.